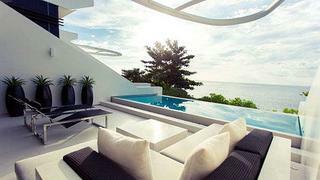 Kata Rocks Resort has been confirmed as the host sponsor for the 2013 Asia Superyacht Rendezvous. The Asia Superyacht Rendezvous will return to Phuket, Thailand, 16-18 December, 2013, for three days and nights of spectacular superyacht socialising. Last year's event attracted 10 of the finest motor and sailing superyachts in the world, including Royal Huisman's 57.5m Twizzle, as the largest sailing yacht in the fleet, and three yachts built by principal sponsor Feadship, including 44.6m motor yacht Helix. The Asia Superyacht Rendezvous is renowned for its fabulous parties, cuisine and fun-filled social programme. Events include a welcome cocktail yacht hop, the ever-popular Feadship Challenge boatbuilding contest and the Rendezvous Booty tender treasure hunt around Phuket. The event closes with the Boat International Media Gala Dinner. Preparations are well underway for the 2013 edition of the Asia Superyacht Rendezvous, with organisers anticipating a diverse fleet of yachts from new builds to classic yachts in attendance.